Try to NOT spray tan in a BOOTH. See 'not approved' by the FDA on menu bar for more info . Custom blending for the perfect tan. Researching various airbrush tanning companies. I noticed that many of the solutions, in the tanning industry, would leave a bronzy orange look. I ventured to a conference where I was able to test several companies’ products. I finally stumbled upon one that offered not only the most natural looking results, but the ingredients I was looking for as well. The solution offers a more organic approach. I was a Medical Aesthetician for 10 years. I was concerned about the damage caused by over exposure to the sun and tanning beds. 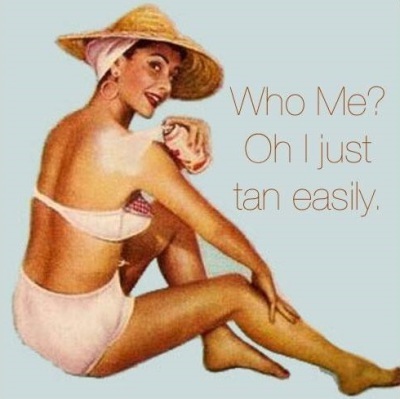 Many of my clients would ask me what I did to stay tan? I educated them on spray tanning. I had numerous clients say how much sexier they felt, when they have a glow. I decided to learn more about owning and operating a safer alternative to UV tanning. And well long story-short that is how My Bella Tan was created.